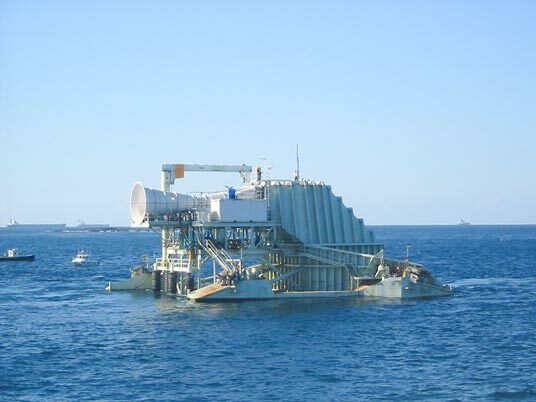 Australia’s Oceanlinx just launched the world’s first 1 megawatt wave power plant in Port MacDonnell, South Australia. The wave energy converter was developed with support from the Australian Renewable Energy Agency (ARENA), and it will undergo tests over the next 12 months to determine how well it feeds into the national power grid. If all goes well the initiative plans to follow up with a 10 megawatt version of the device. Oceanlinx’s “greenwave” technology works by using waves to produce high pressure air, which is fed through a turbine to generate electricity. 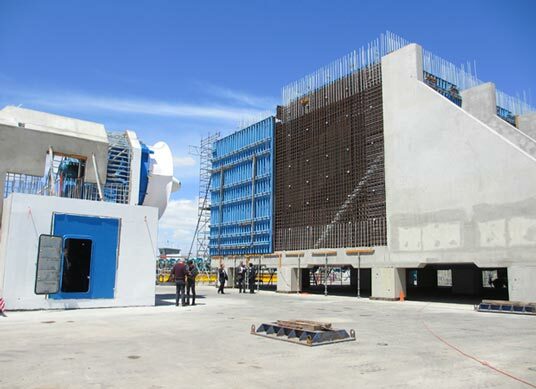 The company says it is made of simple flat packed prefabricated reinforced concrete that makes the structure heavy enough to anchor itself to the seabed in approximately 10-15m of water without the need for destructive seafloor preparation. Even though ARENA supplied $4.4 million of the project’s $8 million cost, Oceanlinx has already struck a power purchase agreement with renewable energy retailer Diamond Energy to generate revenue for this project and possible future ones. No need for ROE if its a public service. Whats the ROI on this 8 million machine? How fast to recoup the RnD? Ways to make the process cheaper / automate? This is a very exciting project. This sounds like exciting stuff! Well done. Australia's Oceanlinx just launched the world's first 1 megawatt wave power plant in Port MacDonnell, South Australia. The wave energy converter was developed with support from the Australian Renewable Energy Agency (ARENA), and it will undergo tests over the next 12 months to determine how well it feeds into the national power grid. If all goes well the initiative plans to follow up with a 10 megawatt version of the device.